Fresh off the reveal of its teaser trailer last week, the young adult novel-turned motion picture “The 5th Wave” starring Chloë Grace Moretz, has now unveiled its first one-sheet artwork. With the tagline, “Protect Your Own,” the poster shows Moretz' character, Cassie, shielding her younger brother from an unseen menace. In the film, four waves of increasingly deadly attacks have left most of Earth decimated. Darkness. Destruction. Infection. Invasion. Against a backdrop of fear and distrust, Cassie (Moretz) is on the run, desperately trying to save her younger brother. As she prepares for the inevitable and lethal 5th wave – the total annihilation of humanity -- Cassie teams up with a young man who may become her final hope – if she can only trust him. 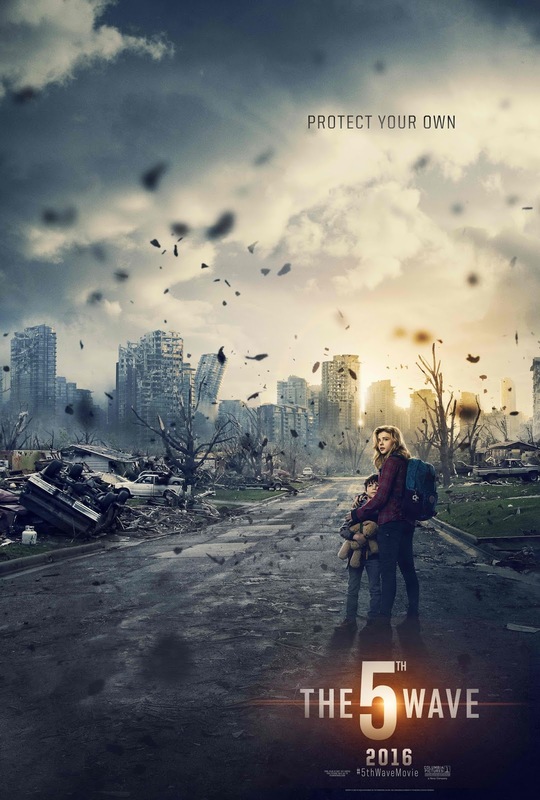 Directed by J Blakeson, with a screenplay by Susannah Grant, based on the book by Rick Yancey, “The 5th Wave” also stars Nick Robinson as Ben Parish aka “Zombie,” Ron Livingston as Dad/Oliver, Maggie Siff as Mom/Lisa, Alex Roe as Evan Walker, Maika Monroe as Ringer, Zackary Arthur as Sam, and Liev Schreiber as Vosch. “The 5th Wave” is a phenomenon in young adult literature, with 21 weeks on The New York Times Best Sellers list, nearly 300,000 hardcover units sold, and 80,000 e-books sold. The novel, which has also had tremendous crossover appeal with adults, was honored with the 2014 Red House Children’s Book Award in the UK. The second book in Yancey’s planned trilogy, The Infinite Sea, was published recently. Opening across the Philippines on Feb. 03, 2016, “The 5th Wave” is distributed by Columbia Pictures, local office of Sony Pictures Releasing International.